I've gathered up all the actual questions that I have been asked by people, both in person and online. I didn't realize that there were so many! I figured that the best thing for me to do was to share them so that everyone could gain. If you have a question that you'd like me to answer, please feel free to message me. There's a contact form at the bottom of every page. Also, please leave a comment and let me know what you think about the blog. This section is just some general questions about the different names that hoverboards are called. The prices of a Segway vary from about $1500 to almost $5000. There are now many features that come with the Segway. You may have even seen a mall cop riding around on one that has sirens and flashing lights. Where to buy a Segway? The mini-Segway is what some people call the new Segway MiniPro. 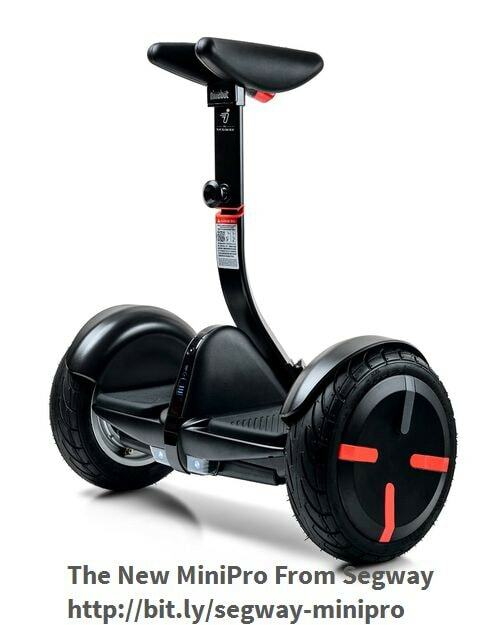 Segway had not released a hoverboard with the initial rush of companies. Now it's apparent why. Now available for pre-orders, with units shipping on June 29, 2016, is the Segway MiniPro. It has numerous safety features built into it to provide a safer ride. You can find out more in my full review or via the link above. A hoverboard is a floating board that looks like a floating skateboard without wheels. It was first seen in the Back to the Future movies. What is a hoverboard with wheels? A real hoverboard as in a floating hoverboard without wheels does not currently exist. There are a few videos on YouTube that have some prototype hoverboards. It's still several years away before we can have a hoverboard like the one in Back to the Future. If you want to learn more check out the Area board and Hendo Hoverboards. A smartboard is a name for a two wheel electric self-balancing drifting board or hoverboard. What is an IO Hawk? What Are All The Names For a Hoverboard? Shane Chen invented the hoverboard while he worked at the Inventist.com. He had several models resembling a mini Segway .and electric unicycles. From there, it was just an extension of the design to a two-wheeled electric self-balancing scooter. Most, if not all are built in Shenzhen, China. There are several factories there that produce hoverboards. From there the manufacturers ship them all over the world. Here are some questions about where you can purchase a hoverboard, along with pricing. There are tons of retailers where you can purchase a hoverboard. Having said that, you will find better prices online. You just need to make sure that you are buying it from a reputable site. Where to buy a hoverboard in store? Most malls have a Brookstone, which sells a variant of the Hovertrax. Also, Modell’s Sporting Goods sells the Swagway in store. They are one of the few national chains to sell hoverboards in the store. Other places where to buy a hoverboard from are Target, Sears, and Walmart. Many of these retailers have stopped selling hoverboards altogether. They are waiting for the various lawsuits to be settled before they resume selling them again. They were way too popular this Christmas to not be sold again. By the later half of this year, they will be back with a vengeance. The cost of a hoverboard depends on which model and the available features. 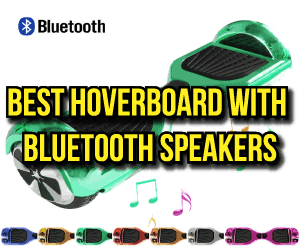 If you buy a hoverboard with Bluetooth speakers, you are going to pay more money. The price range for hoverboards is from $200 all the way up to almost $2000. Why is there such a huge difference in the prices of hoverboards? How much does a mini-Segway cost? See the question about how much are hoverboards. Where Can I Buy an IO Hawk? How much is an IO Hawk? The IO Hawk price usually runs about $1300. What is the best hoverboard to buy? There’s not any one self-balancing scooter that is the best. Several self-balancing scooters that are good hoverboards to buy. My current recommendation for most people is the Swagtron T1. See my Swagtron review to understand why. Or if you'd like to see how the different hoverboard brands compare, there's an article for that as well. Where to buy a self-balancing scooter? See the Where to buy a hoverboard question. What is the best hoverboard brand? That’s hard to say which brand is the best since hoverboards are so new. Razor Scooters is the biggest brand. They sell the Hovertrax. Swagtron sells the T1 hands-free smart board. It was the best-selling hoverboard for Christmas 2015. Other favorite hoverboard brands include Powerboard, Monorover, Glyro, Skque, Uscoot, and much more. Zippyboard is great if you're on a budget. 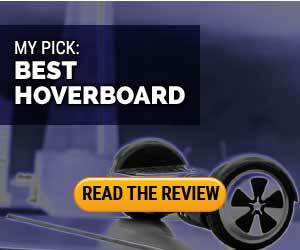 Visit the hoverboard comparison page to find the best hoverboard for you. Who sells hoverboards for the lowest price? Amazon is one of the best places to buy a hoverboard. They sell several brands at different prices. You can also find them at the various importer's web pages and mainstream retailers as well. Most of the mainstream stores only have them available on their websites, not at the actual store. What to Look For When Buying A Hoverboard? Knowing where to purchase a hoverboard and how much they cost is only part of shopping for a hoverboard. You also need to know what all the differences are and their specs mean. These next questions should be very helpful. Why does this hoverboard look exactly like that hoverboard? Most of the hoverboards are made in the city of Shenzhen, China. One factory started making them, and other companies saw and copied the design. That's why most of this first year's supply of smart boards all looked similar. What's the difference between this hoverboard for $X and that hoverboard for $Y? If the two models look alike, look at the hoverboard's specs. Different models and brands changed out the components inside. One brand might have a bigger battery. Another, faster motors, but a smaller battery. What do all the hoverboard specs mean? Charge Time. How fast it recharges. 1 hr - 6 hrs. Max Weight Limit. What's the weight limit for the hoverboard? 200-300 lbs. What features do hoverboards come with? LED headlights: so you can see, and others can see you while riding. Bluetooth speakers: share your music and cruise around. Remote control: for anti-theft and convenience. Which is better, A Hoverboard with 6.5" Wheels, or One with 10" Wheels? 4-inch wheels: These are designed with kids in mind and usually have a max weight of 140 lbs. You can't use them on rougher terrain since the wheels aren't big enough to drive over anything. 6.5-inch wheels: The most common self-balancing scooter, these wheels are perfect for general use and moderately rough terrain. You can roll over obstacles of a 1/2". They work much better on smooth ground. 8-inch wheels: These are becoming more commonly seen around. The Skque brand has several different models. They have the same limits as the smaller 6.5" versions. 10" wheels: Hoverboards with these type of wheels usually also have Bluetooth speakers. The advantage of the 10" wheels is that the hoverboard can maneuver over significantly rougher ground. Because the tires are pneumatic (air-filled), they give you a smoother ride. The drawback, of course, is that you can get a flat. The hoverboard weight limit varies, but the typical range is from 200 lbs. – 265 pounds. I wrote about it in depth along with some suggestions. See the hoverboard weight limit article for more information. Now that you know a little bit more about hoverboards, here's the important things to keep in mind while shopping for a hoverboard. Where can I buy a hoverboard with Bluetooth? I don’t know all the places selling hoverboards with Bluetooth speakers. I do know several brands that have Bluetooth. The best are any of the StreetSaws. Other brands that have gotten some attention are Jetson V6, Skque, Swagtron T3, and Zippyboard brands. Where to buy a hoverboard with Samsung battery? It’s hard to say exactly where you can find a hoverboard that has a Samsung battery. What is easier to do is to do a quick search of Google of the specific model that you are looking at. This way you can know that the model you are considering has the Samsung battery. Where can I get a hoverboard with lights? Most of the different self-balancing scooters have LED headlights as standard. A few brands also come with extra lighting on the top of the wheel fenders. How much is a hoverboard with wheels on Amazon? The pricing varies according to the model and features. A hoverboard with wheels on Amazon usually runs between $250 and $1000. Some models are more than that, but they aren’t listed on a regular basis. How to get a Free Hoverboard? There are a couple of ways that you can get a free hoverboard. One of the best ways is the contest that I’m having. It's easy to win a free hoverboard; you just need to sign up. When there are 1000 entries, one person will win. (It will be a random drawing) That’s one way that can get a hoverboard for free. Other ways to get a free hoverboard require a bit more work. Join a hoverboard affiliate program and refers others to buy a hoverboard. By getting them to use your coupon code, you get credit if they buy. After enough hoverboard sales, you would be eligible to receive a hoverboard for free. Message me if you'd like to know about which places have programs like that. You've bought a hoverboard, but now you need to know what to do with it. These next few are very popular with people that just purchased. What are some hoverboard tricks I can do? Stay tuned for “Look Ma, No Handle: A Complete How-to Guide for Performing Amazing Hoverboard tricks. "Also Part 2 will be "Outstanding Self Balancing Scooter Feats™). I should have it finished soon. It will include some impressive skills to learn. Also, there will be videos showing step-by-step how to perform tricks on your hoverboard. How to Fix a Hoverboard? If an accident or malfunction has left you with a broken hoverboard, don't worry. See the repair section of the site for guides on how to fix your hoverboard. There's also replacement parts for a hoverboard. Also, don't be afraid to look at the self-balancing board manuals, there's lots of hidden tips and tricks. It’s pretty easy to learn how to ride a self-balancing scooter. Check out this article that I wrote that teaches you to use a hoverboard in five minutes. Are hoverboards legal in NYC? Are Hoverboards Banned (at my school, at work, in my city, etc.)? Maybe. It all depends on where you live and what school you are going to. Several places have banned them because of fears that the hoverboard will catch fire. Though it’s unlikely that your hoverboard will catch fire, there is still a chance. Why is my hoverboard banned from my school? For safety reasons. It’s easy to say no to everyone than to have to deal with an accident. Hoverboards are safe; there are just some simple precautions you should take. Can I Fly With my Hoverboard? It's hard to say, each airline is different on what it allows and doesn't allow. You should contact the airline. Look for the written policy on personal electronics with lithium batteries. Which do you think is better: Hoverboard vs. Walking? I think both are better. If I need to travel over a distance, and there are few obstacles in the way, I’d prefer the hoverboard. A hoverboard can go much faster than walking. If I needed to climb a bunch of stairs or rough terrain, I’d prefer to walk. Which hoverboard is the fastest? The fastest hoverboard so far is the Swagway. They claim 13 MPH in some places, though it is much more common to hit a max speed of 10 MPH. Often you will see the speed's listed differently on different websites. Marketers can sometimes stretch specs to make their product look better. The slowest hoverboard that I have found so far is the Hovertrax from Razor. It has a top speed of only 6 MPH. ( The average human walking speed is 3.1 MPH) Most other self-balancing scooters go in the 8 MPH – 10 MPH range. These are two completely different devices and technologies. The Flyboard is a hoverboard for water only. It relies on water jets providing propulsion. A hoverboard uses an electric motor connected to wheels to move. Either way, both are tons of fun. The hoverboard vs. Airwheel is much closer comparison than the Flyboard. The Airwheel is an electric unicycle with an electric motor connected to a single wheel.The rider stands with a foot on either side of the wheel and balances on it while they ride. The Airwheel can go a little farther and a little faster than a hoverboard. It’s also waterproof. The hoverboard is a two wheel electric self-balancing scooter. The rider stands on a small platform between two wheels and balances on it while riding. While it may not go quite as fast or as far as the Airwheel, it is easier to learn how to ride it. Also, since the rider doesn’t have to hold on with their shins, it’s a more comfortable ride. That’s hard to say. I have been following all the news stories about hoverboards exploding or catching on fire. I haven’t heard of any specific brand names catching fire. Without that information, it’s hard to say which is a safer product. The Consumer Product Safety Commission has issued statements saying that all hoverboards are dangerous. But with some simple precautions, your hoverboard can be just as dangerous as a bike or roller blades. How can I keep my hoverboard from catching on fire? Don’t overcharge your hoverboard. Once it’s reached a full charge ( a few hours), unplug it from the charger. Never charge your self-balancing scooter if you have damaged the battery or the charging port. Give your hoverboard time to cool after using it before charging. Don’t leave your hoverboard charging overnight. If your hoverboard feels hot, immediately stop using it and contact the manufacturer. If you see leaking fluids. Excessive heat, sparks, smoke, or smell strange odors, stop using your hoverboard. Move it outside away from anything flammable. Then contact 911. Can I buy a hoverboard without a lithium battery? There’s currently no models of hoverboard with a lithium battery. Is this brand of hoverboard safe to buy? Maybe, without knowing the details, I can’t say. I CAN share some tips on how to buy a safe hoverboard: Is it a reputable vendor? A quality vendor will not sell a shoddy product. They want your business back. Is there a warranty on your hoverboard? Does it have a UL certified battery and charger? Read the product description, outer box, or user manual to see the certified stamp. The battery may or may not have the stamp, but the charger should. Who owns the Hoverboard trademark? Goped owns the hoverboard trademark. They, in turn, have licensed it to Powerboard for their Hoverboard.